Life Expectancy, healthy life expectancy and disability-free life expectancy at birth for females, United Kingdom, 2013-2015, ONS. The number of years women can expect to live at birth without a limiting long-term condition or illness for the years 2013–2015. The life expectancy without a long-term condition dataset is created using a self-reported measure of disability. It asks if the respondent has a long-term illness or disability and if this limits their daily activities. This means, for example, that a person who was born deaf but who did not feel that this limited their daily activities would not be included in the calculations whereas a person who became deaf and felt that this limited their daily activities would be. Health expectancies are a measure of overall population health at different geographies and give an indication of the wellbeing of society. It is important that there are differences in life expectancy but the quality of life people experience in terms of disability, illness and poor health is also important. Life expectancy without a long-term condition at birth was 63.1 years for women in London between 2013 and 2015. This was just above the England average which was 62.6 years. 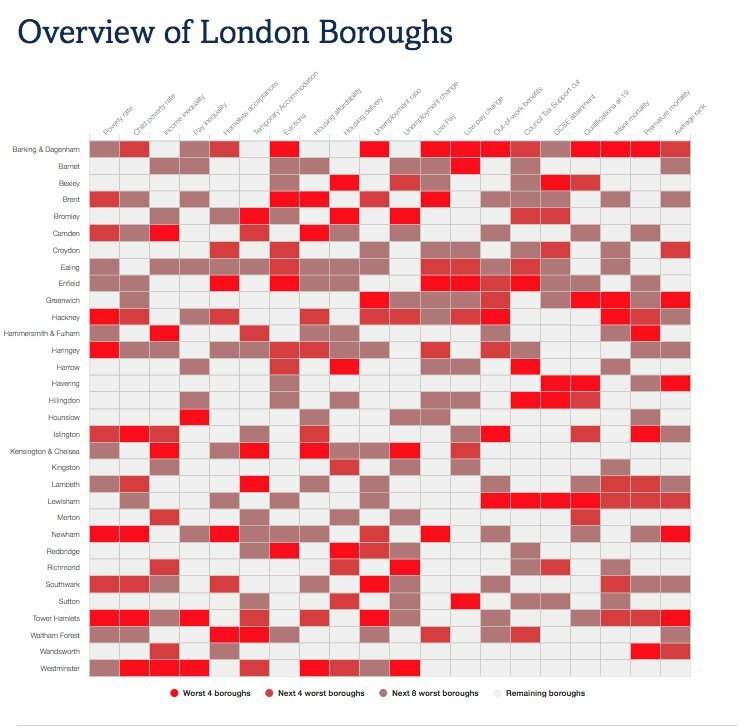 This, however, hides a huge variation between the different London boroughs. Generally, Inner East London fares the worst. 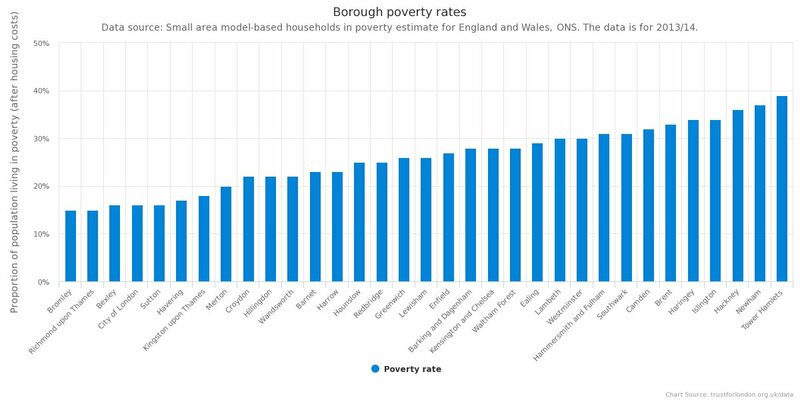 In Tower Hamlets, the borough with the lowest life expectancy without a long-term condition, women can only expect to live 53.5 years without a disability or illness. Whereas in Wandsworth and Richmond – the boroughs with the highest life expectancy without a longterm condition – women can expect to live 68.1 years without a disability or illness. The pension age for women born today is currently 68. This means that in some boroughs women can expect to live a life without a long-term condition until the pension age while in some boroughs they may spend the last 10 or more years of their working lives with a long-term condition. There is far more variance in life expectancy without a long-term condition for women than overall life expectancy. Women in Tower Hamlets have three years less life expectancy than women in Richmond but 14 years less in their life expectancy without a long-term condition. This graph compares the life expectancy without a life limiting condition for men and women. It shows that, while women have a greater life expectancy than men, London's men live longer, on average, without a life limiting condition.